A lot of buzzwords like "fash tech," "sports tech" and "food tech" get thrown around at South by Southwest Interactive, but what about "beauty tech?" 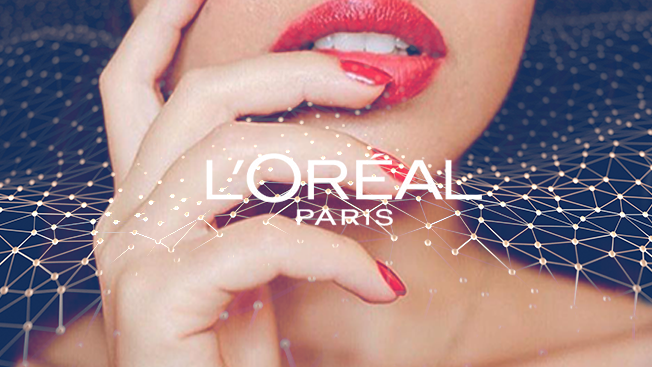 From helping women find the right shade of makeup to measuring how much UV people are getting, Guive Balooch, global vp of L'Oréal's technology incubator who heads up L'Oréal's innovation lab, works with startups and tech companies to take the beauty brand digital. This summer, skin-care brand La Roche-Posay will give away 1 million sensor patches to consumers who want to track their exposure to UV rays. Each tattoo-like patch is embedded with an NFC chip. Consumers stick them on their hand for five days, and the sensors change color based on how much sun they're getting. People can tap the sensor against their phones or take a picture of it to keep track of their exposure. "So many wearables right now are measuring different things, and there's kind of a barrier to entry where people have to spend a lot of money on their wearable," Balooch said. "We knew that there's a need for consumers to understand how much exposure they're getting, and we wanted to give it as an education tool." Balooch said his brand is also testing technology at Nordstrom stores in Del Amo, Calif., and Seattle for its Lancome brand. The technology scans a person's face and creates a skin-tone ID on a computer. A machine then mixes up and bottles a customized shade of makeup on the spot. A couple of years ago, after seeing a woman kneeling on the floor of a Duane Reade store looking for the right product, Balooch came up with the idea of launching a mobile app to help people find the perfect shade of makeup. "I realized two things: We need better ways for people to try on fast products—there are thousands of lipsticks and colors," he said. "The second challenge is getting the perfect product for me—50 percent of women don't get the right shade of foundation, and part of the reason is there's just so many skin tones." So, the brand launched an augmented-reality app that overlays a selfie with different shades of makeup. The app has garnered 70,000 downloads. L'Oréal built a machine for nail polish brand Essie to customize nail designs. After consumers pick a design, they put their hand in a machine that applies 2-D graphics to their nails. "A lot of people do nail art today, and nail art can take hours to do and over $200 to $300 to paint the graphic on your nail," Balooch said.